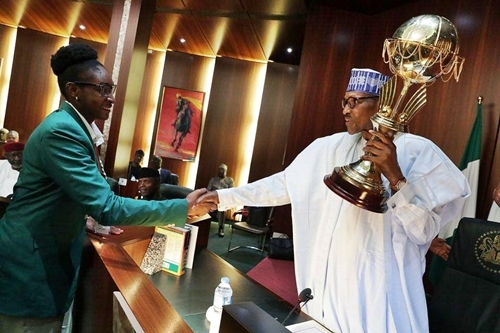 After achieving victory at the Afrobasket Championship title for the first time in 12 years in Mali, each D’Tigress player will get a reward of N1m. The President, Muhammadu Buhari announced this when he received the team at the council chambers in Abuja. Apart from the players, the officials who guided them will receive the sum of N500,000 each. Nigeria defeated defending champions Senegal to win the trophy in Mali on Sunday night. The team returned to the country on Monday night and received a hero’s welcome at the Murtala Mohammed International Airport, Lagos.